The Alps, with their outstanding outcrop conditions, represent a superb natural laboratory for many geological processes, and have played a crucial role in the history of geology. 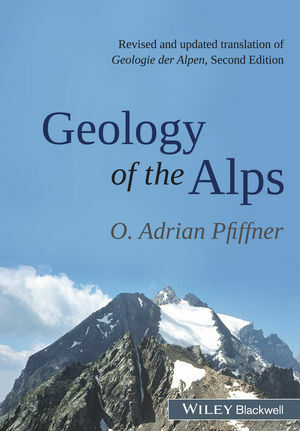 This book gives an up-to-date and holistic overview of the key aspects of Alpine geology. After a brief presentation of the plate tectonic framework, the rock suites are discussed, starting with the pre-Triassic crystalline basement, followed by Paleozoic, Mesozoic and Cenozoic sedimentary sequences. The lithological description of the rock types is supplemented by a discussion of their paleogeographic and plate tectonic contexts. The book goes on to describe the structure of the Alps (including the Jura Mountains and the Alpine foreland to the north and south) illustrated by numerous cross-sections. The evolution of the Alps as a mountain chain incorporates a discussion of the Alpine metamorphic history and a compilation of orogenic timetables. The final sections cover the evolution of Alpine drainage patterns and the region’s glacial history. Readership: The book is essential reading for students and lecturers on Alpine courses and excursions, and all earth-scientists interested in the geology of the region. Adrian Pfiffner received his first degree and his PhD from the ETH Zurich. Between 1979 and 1986 he was a researcher at the University of Neuchâtel, and was appointed Professor of Geology at the University of Bern in 1986. His research concentrated on deformation mechanisms in rocks, nappe tectonics, the structure of the Alps incorporating deep seismic profiling, and the structure of the Central Andes of Peru.